As she opens her eyes, a young woman finds herself lying in a hospital bed, and at the same time realizes that she no longer can remember her past. The nurse who has been taking care of her explains that she has amnesia from an accident that she also can’t remember. When the woman falls asleep, her mind keeps trying to regain her memory by providing little glimpses into her past. But are her dreams real or just her imagination? She dreams of a man in a dark suit, and finds herself becoming more fearful of him with each dream. After waking up, she sees the man in the dark suit standing by the door of her hospital room, and he quickly disappears. Was he real or just a figment of her imagination? She knows that she needs to find out who this man is before she can feel safe. Her helpful nurse offers a place to stay so she can heal from her injuries, though her dreams and visions continue. Her doctor also offers friendship, and the woman finds comfort in his arms and unexpected romance. As she searches for her family and friends, her dreams continue to point to her lost past and a man she may have left behind. 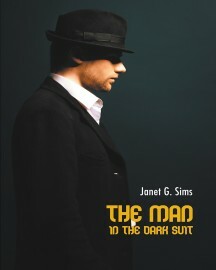 But she knows she must avoid the man in the dark suit at all costs. Keywords:- Dark Suit, Mystery, Man, Lady, Forgotten Past.